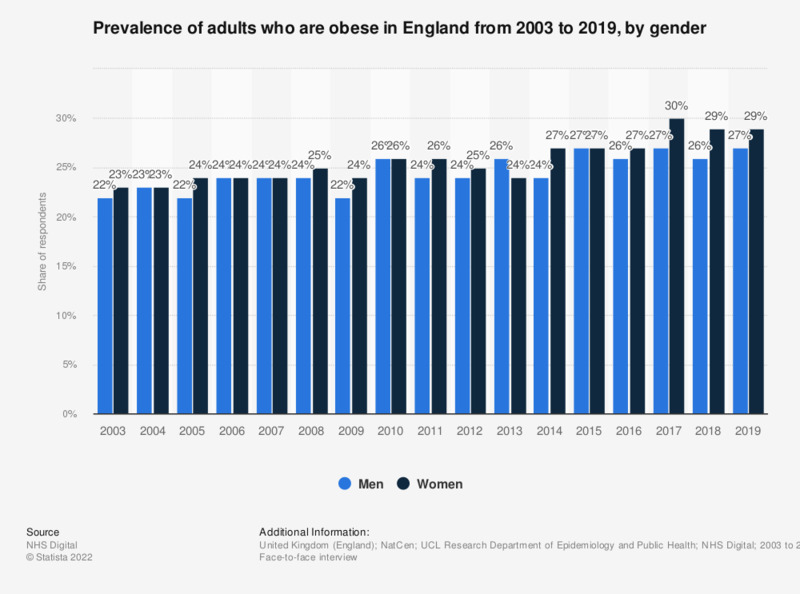 This statistic displays the prevalence of individuals who are obese in England from 2003 to 2017, by gender. In the year 2017, 27 percent of men and 30 percent of women were obese. * Weighted bases: n (men)= 3232; n (women)= 3,338. Overweight: 25 to less than 30 kilograms per meter squared. ** In 2016, the figure excludes morbidly obese: 20 kilograms per meter squared or more.